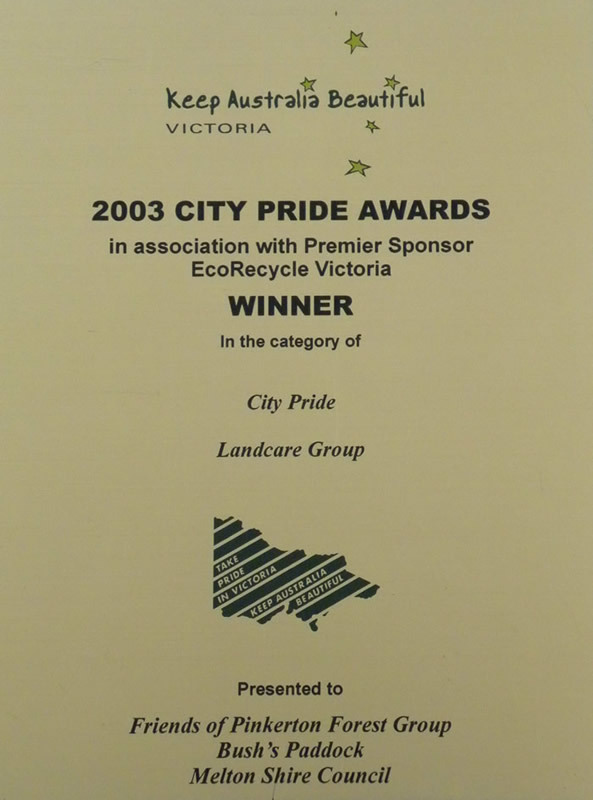 On Friday 22nd August PLEG’s Frances Overmars was awarded Wyndham City’s Environment & Sustainability Award at a gala presentation evening, yet again demonstrating the hard work done by people in this region in protecting our natural environment. 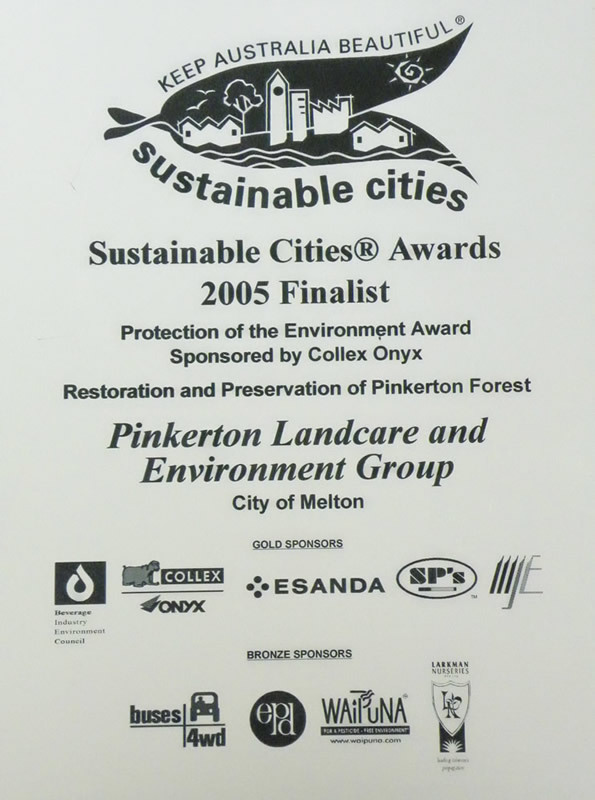 Since 2005, Pinkerton Landcare & Environment Group and Western Water have restored three kilometres of the Werribee River Volcanic Gorge from the Toolern Creek to Pinkerton Flat. PLEG's Secretary, Daryl Akers, was the recipient of a Melton Shire Community Achievement Awards 2008 (Achiever Award 25 - 69) on Saturday 26th January. This award recognises the outstanding achievements and contributions of local groups and residents in Melton Shire.